Nearly 3 weeks ago several large vans sealed off a 5-mile quadrate of London as Trans-Parent Enterprises bought up the inaugural test package from the sell-off of the air. Commentators quickly labelled this the 'first puff' and watched with interest prior to the scheme being rolled out nationwide. A number of high-level complaints and protests have expressed outrage, but considerable amounts have been spent in order to explain that introducing the free market into the atmosphere will lead to immeasurably better quality. We will all notice the improvement immediately. This hasn't ended the disquiet from both civil liberties campaigners and prominent environmentalists. 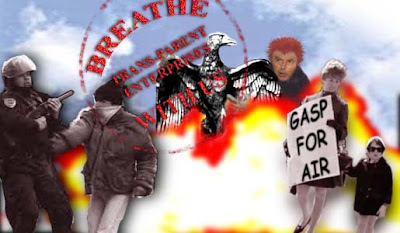 The air-pressure group GASP (Get Air-Stealing Prohibited) has voiced continual claims about the legitimacy and practicality of the proposals. In an ill-tempered and explosive public meeting, supporters of the plans accused GASP of picking over theoretical arguments and living in a vacuum. They could always have a go themselves and distribute it through the network for free, an irate shareholder heckled. Opposition has also been registered in some corporate sectors. London Underground dispute the results of a report that found air quality in their trains and stations so low they would be liable for substantial surcharges. Haulage firms have questioned whether they could face import duties on foreign air. Also, the scientific community have expressed doubts. Professor Miller of the Lagado Institute believes natural phenomena could jeopardise the scheme. “Rogue air currents could play havoc with the business plans,” he warns. Already there have been a few glitches, which have been put down to teething troubles. Somehow, a few streets around Whitechapel were overlooked. A press release apologised very sincerely and the clear up was organised quickly and discreetly. Some older people, heavy smokers and asthmatics have also experienced difficulties. The rebates don't go far enough, they gasped. Off-Air pledged to investigate. Later, they agreed that the complaints procedure had responded too slowly; however, they said lessons have been learned through this regrettable incident. 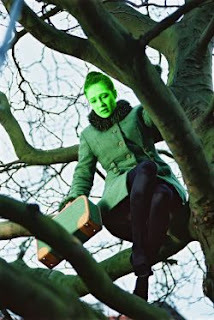 There have also been a few instances of 'air-rustling' reported. In one case, police say thieves raided a building firm and stole canisters of oxygen used in welding. More recently, breathing apparatus was taken from a fire engine responding to a hoax call. Legislation is to be prepared to tackle unlicensed air, although civil servants are said to be struggling to exempt gardeners, farmers and groundskeepers. Lately we were told that due to warm weather and traffic fumes supplies of marketable quality were running well below capacity. We may have to enforce regulations, the industry announced, as demand has become excessively high. It was thought some people were stocking up on air, just in case. The news caused panic and bated breath on the stock markets, and even a sell-off of stale reserves to Russian states failed to stabilise the share price. Today eyewitnesses reported seeing ventilation tents being erected and breathing equipment being tested. Tempers flared amongst elderly professors and intellectual pillars of the world’s scientific genius establishment at this week’s International Congress on Space Physics, where the main topic of heated discussion are some recently published findings by controversial American theorist, Karl Sageun, a balding Texan once shortlisted for the Noble prize when his book, 1001 Things You Didn’t Know About The Sun, revolutionised star development theory 10 years ago. The central burning issue of this 25th conference, is the new paper by Sageun, giving the esoteric results of his five year experiment in an underground Ozark salt mine to detect the long-puzzling ‘missing mass’ - that cosmic material which scientists have claimed must exist, somewhere - and which even our galactic corner of the universe, must somewhere contain - if modern cosmology theories are correct. Sageun’s work may herald a major breakthrough in this quest, as his research appears to prove what was previously just a wild, and a few have said woolly, abstract theory. Some have received the discovery of Sageun’s so-called ‘fancy matter’ (FM) with utter contempt, while others claim it is the divine word. Composed of energetic clouds of ultra subatomic soup scattered throughout our galactic local group, fancy matter is said to emit a fierce stream of “queerer than quark dust” particles, and has replaced the discredited theories about ‘dark matter’ as the physicist’s new grail. The debate rages on, with neither side willing to concede a Planck length to the other, even when observers amongst my colleagues in the scientific press have reported - objectively of course - that both sides seem to be withholding crucial evidence in support of their respective claims. Highly problematical, is the sheer fantastical oddity of FM characteristics. 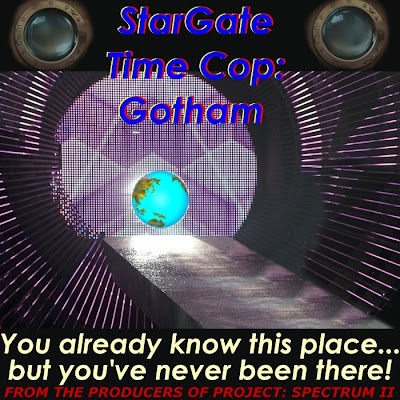 With the curio-particles being dubbed ‘interstate’, ‘rustic’, ‘quizzical’, ‘condemnable’, ‘unctuous’, and the specially contentious ‘sacred’ – it’s small wonder that many scientifically learned folk are at a loss to understand and comprehend Sageun’s alleged, though as yet still veiled, proof positive... let alone non-physicists or the general public getting to rational grips with FM theory’s most obvious absurdities. It’s the great new sport for real macho men (and tough women). Why bother with dusty craters in the airless lunar void? Come to the red planet and scale the peaks! 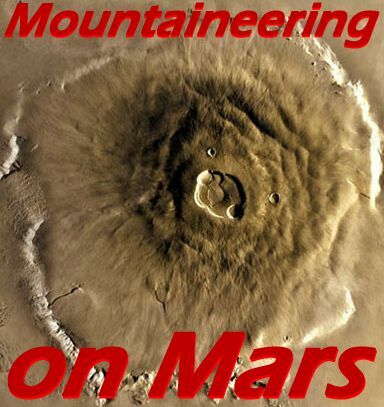 Mars has mountains to dwarf the pitiful green hills of Earth. Have you got what it takes to climb Mount Olympus? 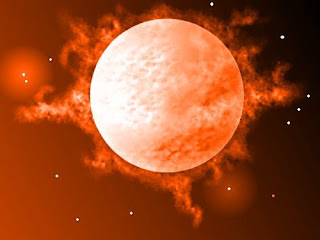 Call your local inter-planetary travel agency and ask for Redrock Tours. Coming soon: to a holo-theatre near you! In the style of brilliant documentary Thunderbirds (about those secretive heroes from International Rescue), this new Americanised big-screen remake tackles a far grander story: interplanetary defence of the Earth against illegal visitations by alien terrorists. 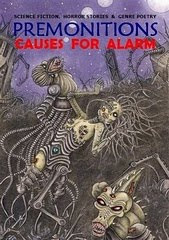 Not since War of the Worlds has there been such a terrifyingly outrageous tale of our ‘war of nerves’ against mysterious foes - reportedly so weird they are unknowable to human science. With its operational HQ aboard the flying aircraft carrier dubbed ‘Cloud Base 9’, the planetary organisation officially known as ‘Spectrum’ is led by elite military veteran Colonel White (succeeding Colonel Straker, top star cop and Cold War spymaster of last century’s SHADO). Primary agents from Spectrum’s cadre of astronaut warriors include Captain Eddie Blue, and his partner - the reportedly ‘indestructible’ Captain Pete Scarlet, ultimate champion of Spectrum’s heroic defence strategy against outer zone mysterians. Not since the era of Quatermass, has Britain, and indeed the world, faced such implacable enemies from space. The mysterians (previously notorious as ‘mysterons’) are like psychic wizards with an almost supreme power over matter and energy, using alien technology which enables them (if that pronoun can be applied to what human scientists now suspect to be a hive mind) to regenerate living tissue from death, re-create wrecked machines, and any sabotaged devices, or specific objects of interest/ value, that have already been destroyed in spectacular explosions. 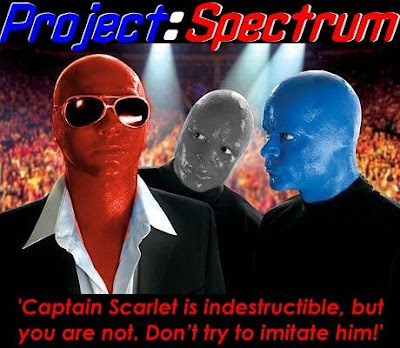 Spectrum’s - and especially Scarlet’s - nemesis is the tortured soul of zombie maniac Captain Black (photo not available due to inter-world security concerns), who is represents the ultimate villainy of betrayal - once a Spectrum agent, identified as Conrad Turncoat, now a teleporting madman who will stop at nothing (“Nothing I tell you!”) to bring harm or doom and gloom to innocent lives of humankind. And there’s only Captain Scarlet, proving that one man can make a difference, with his famously bizarre ability of ‘retro-metabolism’ (which Dr Gold has so far failed to replicate in other Spectrum agents), to get in the mysterians’ way. All-female ‘top guns’, former Angel interceptor pilots, Destiny, Symphony, Rhapsody, Melody, and Harmony, have since been promoted to the frontline of space defence on Moonbase Alpha - where they are deployed in tactical command of upgraded Lunar interceptors (older designs of the vehicles that Spectrum inherited from SHADO were deemed “too phallic” by women pilots), despite some criticism of the special initiative for its ‘affirmative action’ - resulting in rightwing political anger (prompted by notion of “chicks with nukes”), while lefty liberals directed their fury at Spectrum command for sanctioning the boosting to squadron status of these new-fangled orbital bombers. Meanwhile, back on Earth, the Charlie agency franchise has supplied new recruits as replacement Angels, always on standby, ready for immediate launch from Cloud Base 9 action stations, using codenames: Tragedy, Parody, Jeopardy, Veracity, and Apathy. New pilots for Angel interceptors! How long is a television star and cinema idol’s career in dog years? Gromit, the super-dog of British suburbia, finally wins overdue and rightful acclaim, for magnificently expressive performances “of quiet courage, canine determination, and supreme humility,” in such classic adventures as The Wrong Trousers (1993), and Curse Of The Were-Rabbit (2005), and last year’s documentary series World Of Invention. The long-suffering sceptical companion of that blundering ‘inventor’ and cheese-addict Wallace, beloved national cult hero Gromit leapt to instant stardom in 1989, while portraying an intrepid astronaut from Wigan, in A Grand Day Out. Receiving his lifetime achievement award from the Royal Academy, usually reclusive Gromit remained tight-lipped, making no comment or even a sound of any answers, when accosted by reporters and well-wishers outside the academy’s hallowed halls. 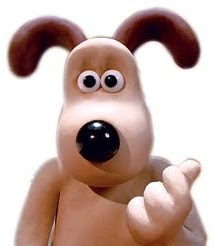 A blasé shrug, a poignant gesture of paw waving, the stoically resigned forbearance and air of that most gentle breed of underdog, evincing profundity from the champions’ pound, was the superstar thespian Gromit’s only response to the assembly of media pundits’ boisterous rhubarb of questioning. In their prepared statement, read by a current Presidential Academician, the awards committee unanimously declared that Gromit was, without any doubt, “The greatest silent movie actor of his plasticine generation… and indeed, of the animated British 21st century!” The academic pres prof continued, “Never in the kennels of history…" blah blah.